If you’re a music journalist and you’ve written about R&B dynamo Miguel in 2012, chances are you’ve put the 27-year-old and Prince in the same sentence, as I have. And that’s cool, says Miguel. Just don’t get used to it. There’s no doubt that 2012 was Miguel’s breakout year. 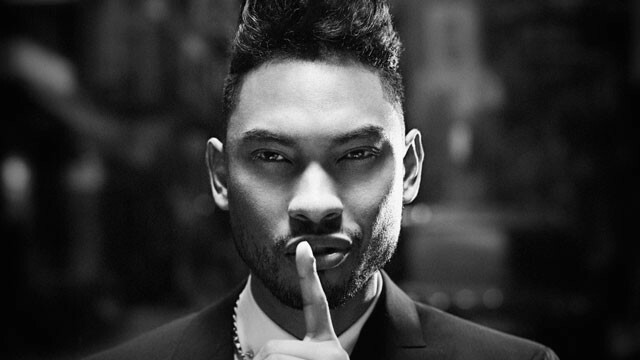 True, he had shown promise on his 2010 debut album All I Want Is You, but it was this year’s follow-up, Kaleidoscope Dream, that earned high praise from critics and fans alike, who unanimously seemed to agree that Miguel was part of an exciting crop of artists intent on saving a dying genre. “[Frank Ocean’s] Channel Orange, [Miguel’s] Kaleidoscope Dream, and [The Weeknd’s] Trilogy rescued the art form from the monotony of ‘baby, baby please’ as Ocean, Miguel and Weeknd casually re-created it in their own images,” wrote Rebecca Thomas at MTV. With five Grammy nominations, including Song of the Year and Best R&B Performance for “Adorn,” and Best Urban Contemporary Vocal Album and a spring tour with Alicia Keys coming up, 2013 is looking even better for Miguel. Miguel could go on and on about musical mentors – and he does – but one thing is clear: he knows exactly what kind of artist he is as an individual, who’s listening to him, and where he wants to go. As solid a debut as it was, All I Want is You wasn’t really making a statement the way it needed to in order to stand apart from the Chris Browns and Trey Songz of the world. Miguel and the album were snubbed by the Grammys, something he felt so strongly about he took to Twitter to vent. To read the rest of this story, visit Fusion (ABC-Univision), where it was originally published.